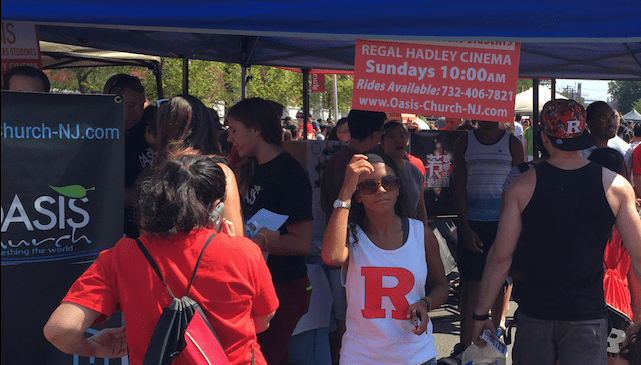 What We Believe | Rutgers NJ Church-ROC! WE BELIEVE the Bible is inspired by God, without error, and everything we do at Oasis is based upon this belief. WE BELIEVE Jesus Christ is the eternal second person of the Holy Trinity, who was begotten by the Holy Spirit and born of the Virgin Mary. He is fully God, but entered the world as a man to save a lost and sinful world by shedding His blood on the cross. He was crucified but on the third day after that event He arose from the dead. He ascended into heaven, and will one day return for His people, who will reign forever with Him. “His people” refers to all those who put their faith in Jesus for forgiveness and eternal life. (Jn. 1:1, 14, 18; Lk. 1:35; Rom. 3:24-26; 4:25; 1 Pet. 1:3-5). WE BELIEVE the Holy Spirit is ever present in the hearts of believers as He comforts, gives spiritual gifts and makes us more like Christ. He also fills us with His power as we yield to Him and as the need arises. WE BELIEVE mankind was created in the image of God to enjoy friendship with Him but became alienated in that relationship through sinful disobedience. As a result, man is incapable of regaining a right relationship with God through his own efforts. Every human being whether a believer or not, possesses dignity, and is worthy of respect and Christian love. WE BELIEVE man was created to exist forever. He will either exist eternally separated from God by sin, or in union with God through forgiveness and salvation that comes only through Jesus Christ. To be eternally separated from God is Hell. To be eternally in union with Him is eternal life in Heaven. Heaven and Hell are real places of eternal existence. WE BELIEVE as children of God, we are over-comers and more than conquerors and God intends for each of us to experience the abundant life He has in store for us.